Whatever the format of your interview, it’s important you research your medical school. Here, one student details the five things you should know about the university you’re applying to. Applying to Medicine for 2018 entry? Book a space on our newly announced Interview Courses! As I said, you are not expected to know all the learning outcomes for your medical degree but it’s a good idea to research things like when you begin clinical placements and the nature of any early clinical exposure. Will you be placed in the city the entire time or might you have some placements further out? Is the course delivered through lectures alone or does it make use of Problem or Case-Based Learning? If you have an awareness of these sorts of things, then you can explain why they suit you well and how you would therefore do well at the school. 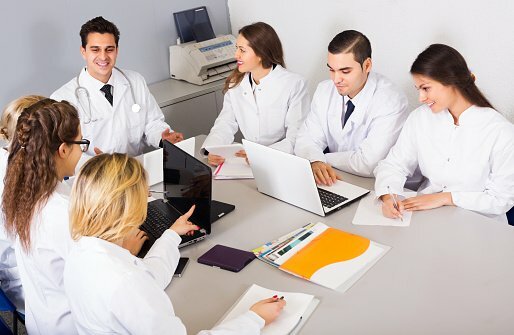 At times it can feel like all of the medical schools blur together into one but they are all different, so make sure you do your research on what makes them unique – for example, an intercalated BSc, the style of teaching, or research. Medicine definitely is a work-hard-play-hard degree so think about what you might like to get up to during your own time. The people interviewing want to see what you will bring to the medical school’s community, not just what you bring academically. It’s good to talk about hobbies you plan on carrying on at university, such as sport or music, but it is also a good idea to mention something new that the university’s student union offers which you would like to get involved in. Different cities and different hospitals often encounter lots of different groups of patients. For example, Barts and the London in East London will experience a different patient demographic to Keele, and this can be an interesting point to mention in relation to the university. However don’t use the phrase ‘patient demographic’ without having some awareness of what it is in that area. Any special areas of research at the medical school can also be something to look into, especially if you find one which genuinely interests you and you could talk a bit about. This might seem a blatantly obvious point but often we have to apply so strategically for medicine it can be easy to forget why you put your four choices down in the first place. By combining different elements from the above tips and your own personal spin you’ll be able to justify why you want to be there – but make sure you think about it in advance! Want more interview tips? Try our other blogs!